A few hours after a SUV crushed nine school students including seven girls to death and injured at least two dozen others, Rashtriya Janata Dal (RJD) leader and Lalu Prasad Yadav’s Tejashwi Yadav claimed that the driver of the vehicle was in inebriated condition after meeting the injured at Shri Krishna Medical College and Hospital in Muzaffarpur . “Chief Minister Nitish Kumar and Deputy Chief Minister Sushil Modi are trying to shield the culprits. How did the driver and other in the car get liquor when it is ban in the state,” added Yadav. While, Chief Minister Nitish Kumar has announced Rs 4 lakh ex-gratia amount for the kin of the deceased and announced that the state government will bare the cost of treatment of all injured in the incident. 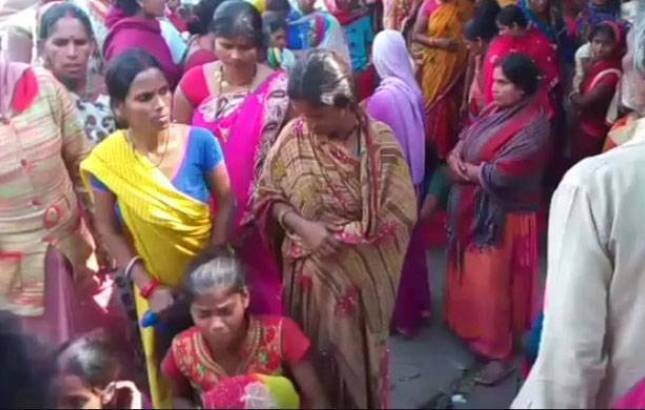 The deceased have been identified as Shajahan Khatoon, Safina Khatoon,Nushrat Khatoon, Sajia, Nita Kumari, Rachna Kumari, Anisha, Birju and Salman. All the victims aged between 10 years and 12 years. Till the time news was filed police had yet not arrested the driver of the SUV. Soon after the incident, villagers took to the roads and blocked the National Highway. They also attacked school administration and teachers. The agitated protesters also damaged the school properties.